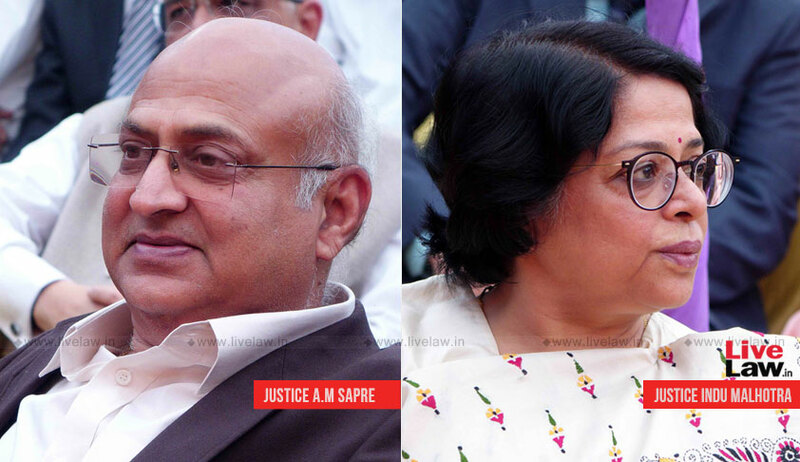 Writing for the bench comprising Justice Indu Malhotra and himself, Justice Abhay Manohar Sapre clarified that an accused cannot be held guilty of demanding and accepting a bribe and criminal misconduct if both demand and acceptance of bribe are not proven. “Since in order to attract the rigors of Sections 7, 13(2) read with 13(1)(d) of the Prevention of Corruption Act, 1988, the prosecution was under a legal obligation to prove the twin requirements of “demand and acceptance of bribe money by the accused”, the proving of one alone but not the other was not sufficient. The appellant is, therefore, entitled for acquittal from the charges framed against him under the PC Act too,” said Justice Sapre referring to M K Harshan vs State of Kerala. With this, the bench ordered acquittal of an employee of Delhi Electric Supply Undertaking who was booked for demanding and accepting bribe way back in the year 1995 and sentenced to two-year jail term. The bench said this requirement was more strict in this case as the prosecution had failed to show a conspiracy between the accused and another employee Rajinder Kumar, from whom the bribe money was said to have been recovered. The prosecution had failed to prove conspiracy or the fact that the money was in fact bribe amount. The bench noted here that the need for proving both demand and acceptance of bribe was all the more necessary “when the benefit of such acquittal from the charge of conspiracy was given to Rajinder Kumar but not given to appellant”. In the instant case, appellant Dashrath Singh Chauhan had challenged the Delhi High Court order by which his conviction under Section 7 and Section 13(2) read with 13(1)(d) of the Prevention of Corruption Act and consequent sentence of two-year imprisonment and Rs 40,000 fine was upheld. Darshan Kumar was working as an inspector in DESU. On 28.03.1995, complainant­ Arun Kumar lodged an FIR under Section 7 read with Section 13(2) of the PC Act against Darshan and Rajinder complaining that in January 1995, he had applied for installation of an electric connection for his factory and met Darshan in his office where he demanded from him Rs 4000 and told him that unless he pays a sum of Rs 4000 as bribe to him, it is not possible to install the electric connection. On the basis of the FIR, the CBI formed a raiding party and nabbed both Darshan and Rajinder but could not prove any conspiracy between the two.